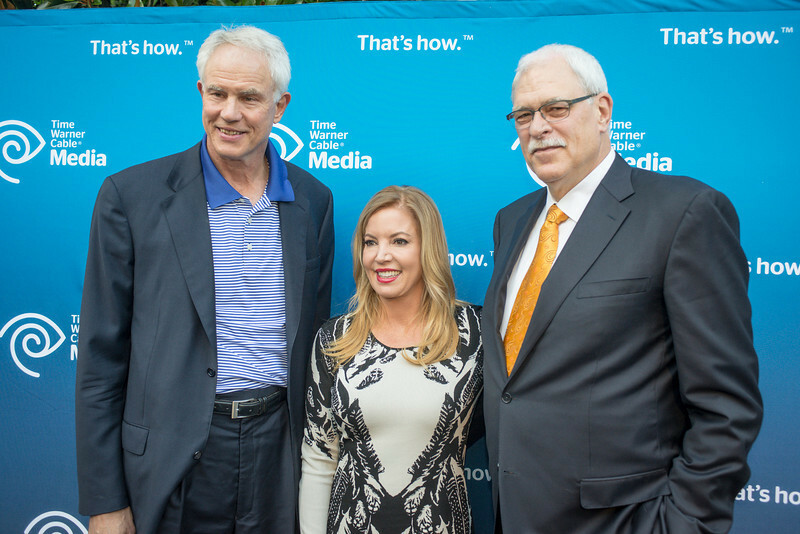 The crowd rose up and expressed their appreciation for Phil Jackson. This scene has played out countless times at Staples Center where Lakers fans have belted out “We want Phil” chants in hopes he could coach the purple and gold again to championship prosperity. But the latest episode took place nearly 3,000 miles away in New York where fans greeted him with applause when the Knicks hosted the Indiana Pacers on Wednesday night at Madison Square Garden, marking Jackson’s first game as the franchise’s president of basketball operations. Could Jackson have served a front-office role with the Lakers? Lakers president Jeanie Buss, who is engaged to Jackson, said in an interview aired Tuesday on Time Warner Cable SportsNet that Jackson “was not offered any official position.” That’s because the late Lakers owner Jerry Buss set up in his will that Jeanie will continue to oversee business operations while Jim Buss will continue to run basketball operations. Jackson won five of his 11 NBA championships coaching the Lakers (1999-2004, 2005-2011). But he does not have front-office experience. This entry was posted in Mitch Kupchak by Mark Medina. Bookmark the permalink.